Bayou North Area Health Education Center is a nonprofit organization that serves a 21-parish region. 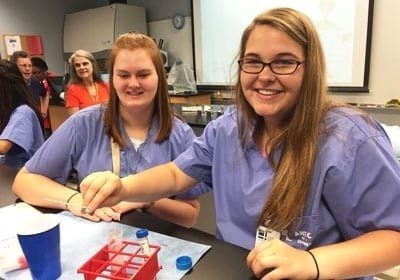 Based in Bossier City, LA, we connect students to careers, health professionals to communities, and communities to better health. By pipelining health career enticement programs, we aim to encourage more young individuals to attend our training and begin a journey towards the health care industry. Our team is led by Executive Director Ashley Morgan and Health Careers Coordinator Lashanda Sanders. With their combined efforts, our nonprofit organization remains true to our mission of forwarding health education. We continue to offer outstanding health career enticement programs while bringing first-rate health care to the rural and underserved areas at the same time. Bayou North AHEC is thankful for the generous contributions of our partners who make this program possible. At Bayou North Area Health Education Center, we value the importance of quality health care to the progress of our community and its people. This is why we are committed to producing more health professionals who are ready to serve and save lives. Give us a call or send us a message today to learn more about our cause.